Never Enough Nails: I Love Nail Polish Rapture (H) Swatches! I am loving the sunshine we've been having, mostly because it's a great chance for me to wear ALL THE HOLO stuff!! 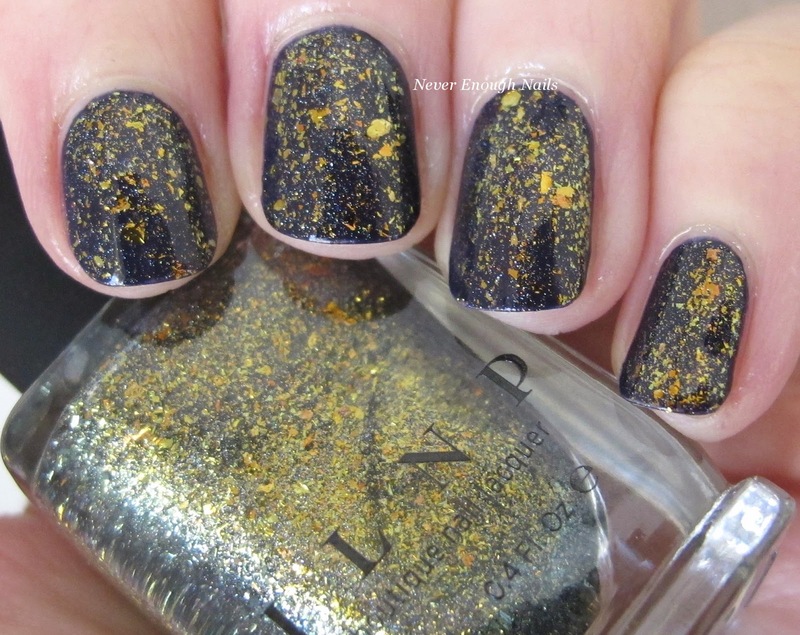 ILNP Rapture (H) is one of the polishes I wanted to test drive during this sunny period. Rapture is an antique gold Ultra Chrome Flakie that shifts to blue and olive green. The holo version here also contains scattered holo sparkle that really adds to the beauty of the polish. You can see all the twinkly rainbow sparkles mixed in with the beautiful flakies, it's a really cool effect in person! This is just one coat of Rapture (H) over OPI Road House Blues. 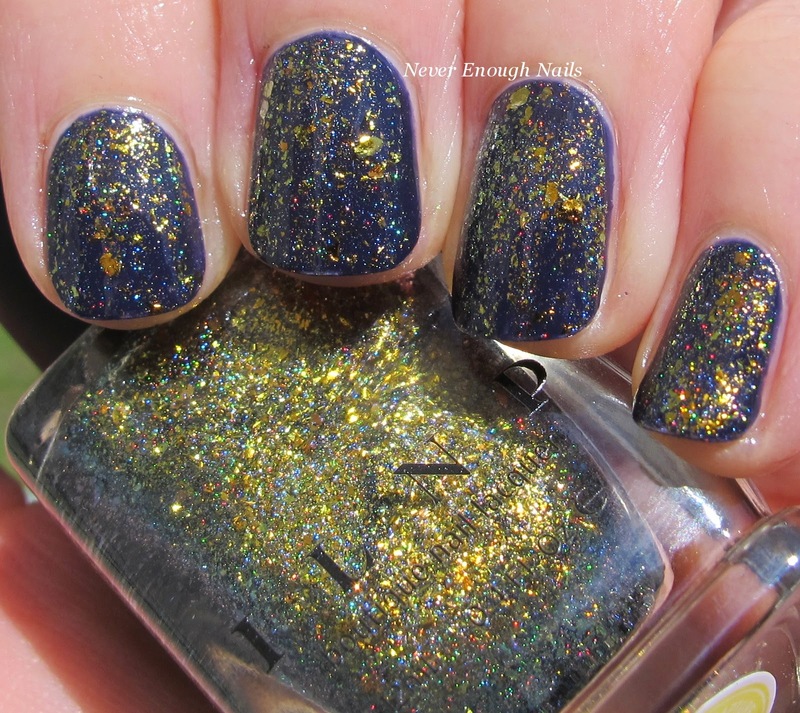 I wanted to wear it over a dark blue to make the gold and the holo really pop, but you can wear the ILNP Ultra Chrome Flakies on their own in a few coats as well. This was super easy to apply and has a great consistency. I felt like the flakies spread themselves around well and didn't end up concentrated in one spot. I'm chalking ILNP Rapture (H) up to another Win for ILNP in my book. I am really loving these Ultra Chrome Flakies! ILNP Rapture (H) is available now at ilnp.com.